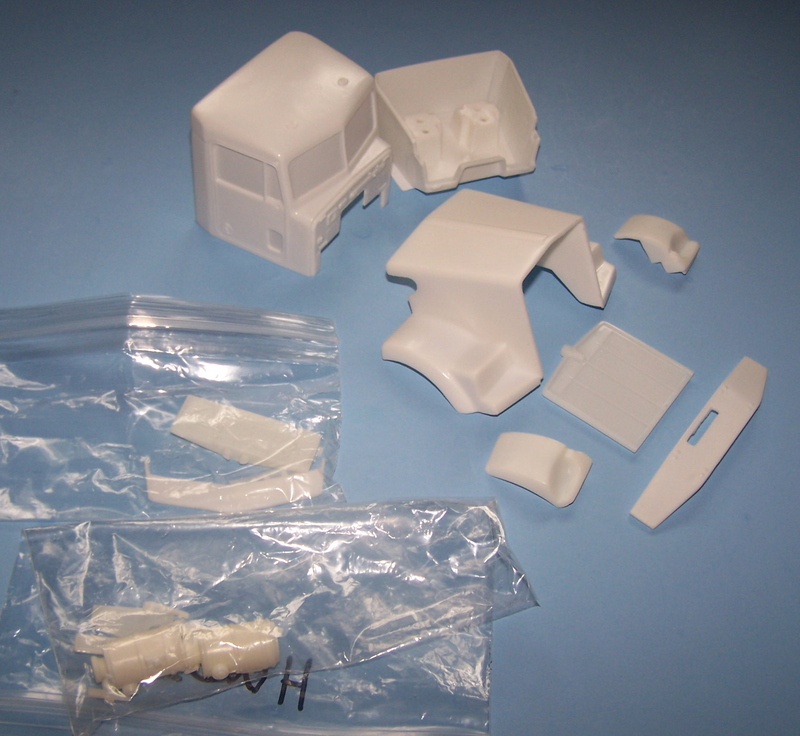 Kenworth K104 Flat Roof Transkit to be used with Revell kit Kenworth K100 aerodyne or Revell kit 07549. 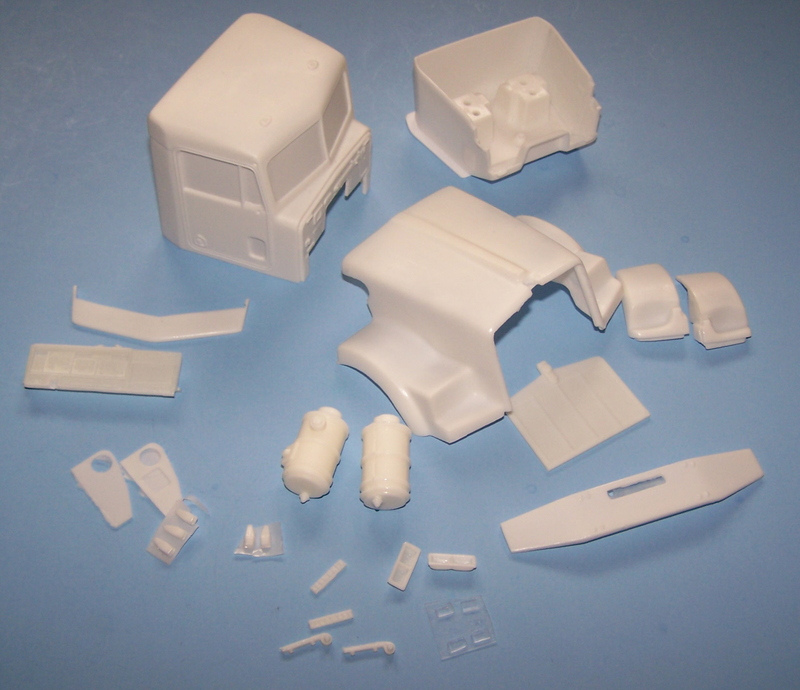 Kit includes; Instruction sheet with pictures of transkit, cab with complete side fairings, mirror frames and heads, grab rail modification, sunvisor,grill, bumper, headlight bezels and lenses, indicators plus 2 sheets of photoetch with badging, door slamlocks and wipers. Glazing. 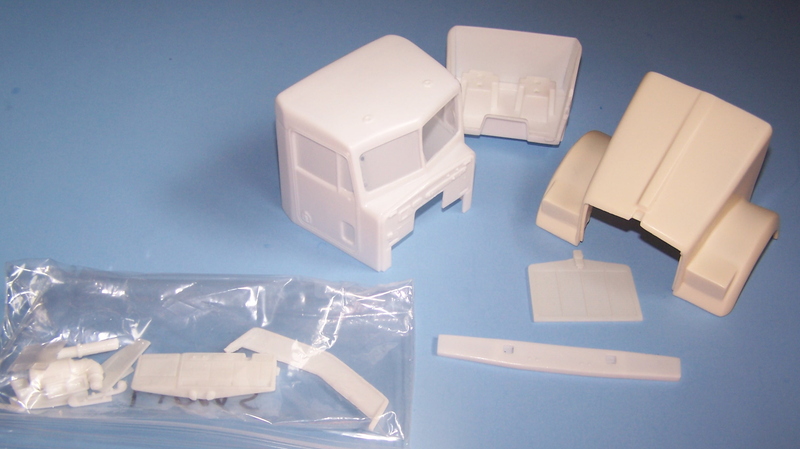 Cab also features full interior with floor pan, dash, bunks, curtains, and interior walls with kenworth style pattern. 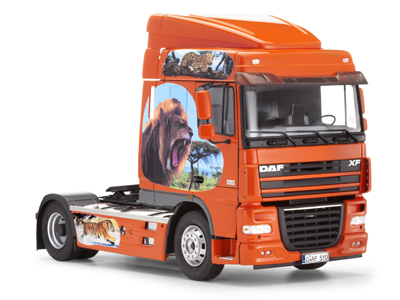 Front and rear cab mounts, exhaust and aircleaner mounts are supplied along with aircleaner and pipework, as well pipework to exhausts. And a cast metal steer axle. CAN BE USED AS A DONOR KIT FOR KFS TQ93, TQ135 AND TQ136. 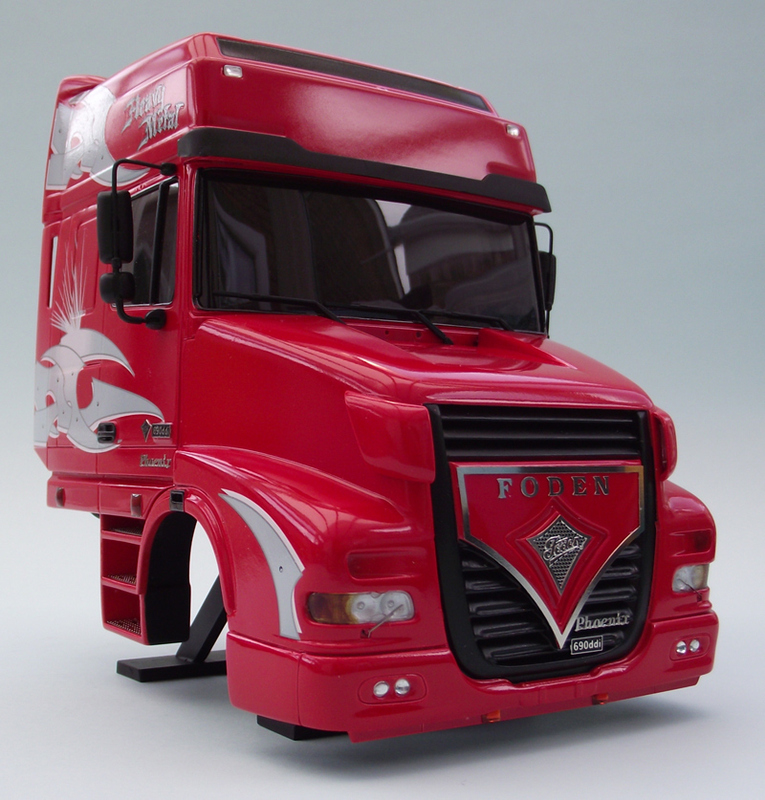 A further take on the Foden Concept vehicle using the basis of the TQ93 DAF XT kit with a new grill & optional nostril hood scoops, plus a 29 part chomed etch fret. 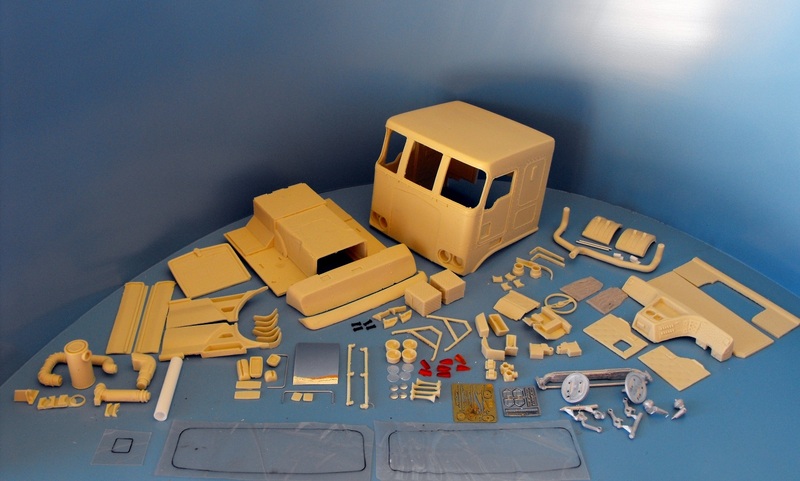 Includes cab with daylight doors, cab extensions, visor, interior, hood, quarter fenders, grill, bumper, hinges, headlights, emblems, air cleaners and instruction sheet. See our chassis parts section for frame rails, and suspension/frame correction kits for this conversion. 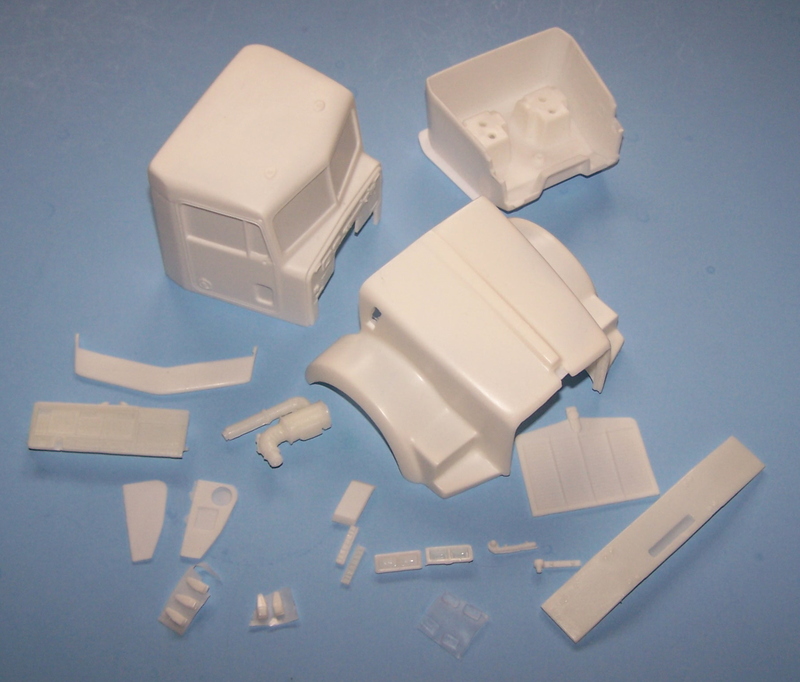 Includes cab with daylight doors, cab extensions, visor, interior, hood, grill, bumper, hinges, headlights, emblems, air cleaner and instruction sheet.